While walking down Via Garibaldi in Genoa recently, a stately street of ancient palatial palaces in the historical center, I came upon the Doria Tursi Palace also known as the Nicholas Grimaldi Palace. Constructed in 1565, it is beautifully adorned with decorations and graceful arches. Originally the residence of the Genoese aristocracy, it is now home to the Municipality of Genoa and also part of the city’s museum complex. 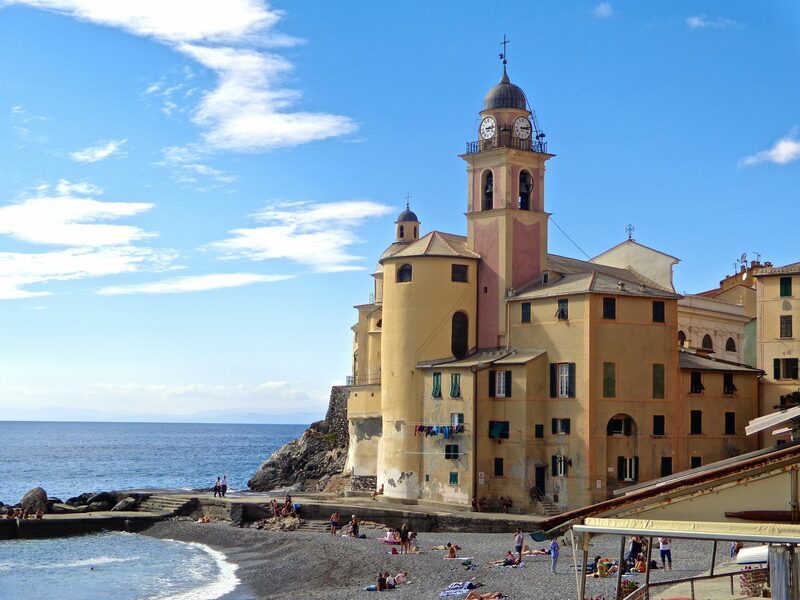 Have you been to Genoa? What stately old buildings have you seen and admired? Please feel free to share below. It’s always a pleasure to hear from you. I haven’t as yet been to Genoa, and hopefully one day, I’ll get there. Australia is a baby compared to Europe (with the exception of the Aboriginals), which is why I love these ancient places. The history is incredible. WOW….Your pictures are amazing. Thank you for sharing. I have been to Italy but haven’t had the privilege or pleasure to go to Genoa yet.Just might have to visit. Hi Sally, I hope you do get to Genoa. there is so much to see in this port city. Unfortunately our visit to Genoa was a very short but sweet one a few years ago. We drove in for the morning to visit my husbands elderly Zio and family. Would loved to have spent more time, maybe next visit to Italy! The architecture gets me every time!! Great pics Susan. Thank you! I hope you do make it back to Genoa and take in some of the gorgeous architecture. It’s a city with many layers. Buon Natale! Genoa is so on my Italian travel wish list. I would love to visit. One of my must sees would be the Palazzo of Andrea Doria which sounds as amazing as Rome’s Palazzo Doria Pamphilj. These old palazzi are so elegant, they just amaze me to walk through them. Via Garibaldi is full of them. I’m glad Genoa is on your Italian travel wish list!